A rolled container is the scourge of every importer. Because there is no more available space onboard the vessel, the container cannot be loaded and is moved to a subsequent shipment. This could lead to days of delays. What actually causes rollovers and what can be done? In fact, rollovers are part of a vicious circle, caused by shipping companies and shippers. Both rarely or inadequately use capacity planning for determining the required tonnage. Shippers book space with a shipping company as they see fit, but to prevent rollovers, this is always in excess of what is genuinely needed. An estimated 30% of bookings never turns up. The result is that shipping companies no longer trust the indicated volumes and in turn, start to accept extra bookings. The eventual and unavoidable outcome is a situation whereby there is more or less cargo capacity than available space. 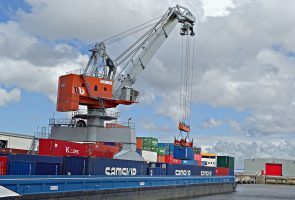 In the event of excess cargo, containers are rolled. In contrast, the vessel leaves port with empty spaces in the event of insufficient cargo, which is undoubtedly not desirable either. This is how the current method for booking space causes many problems and unnecessary costs for all parties involved. The solution to the problem lies in breaking the vicious circle. This starts with repairing trust. On the one hand, shippers must provide the correct volumes. Accurate capacity planning is vital here. Moreover, shipping companies must be able to guarantee that no rollovers will take place and make exactly the right volume of capacity available. The prevention of overbooking therefore demands a sector-wide approach. For instance, a contract between shipper and shipping company could offer a solution. There are currently no fines in place for not honouring bookings, or for rollovers; so effectively, there are no mutual commitments at the time of a booking. Maersk tested the implementation of contracts plus fines for no-shows and rollovers. It proved to be successful for better alignment of supply and demand. One thing is certain: all parties involved benefit from a solution for overbooked tonnage. The wait is now for a sector-wide approach, as only then will rollovers be a thing of the past. In the meantime, we will do our utmost to make sure we can prevent rollovers at all times.